Earthy buckwheat is blended with ginger, spices, molasses, and toasty-tasting brown rice flour to make an unexpectedly light muffin that's great with sour cream or butter. 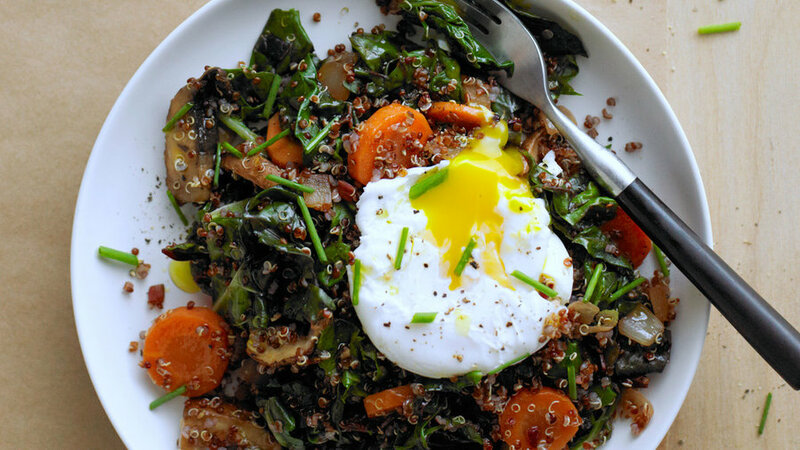 Quinoa looks like a grain, but it’s actually a seed and gluten-free. 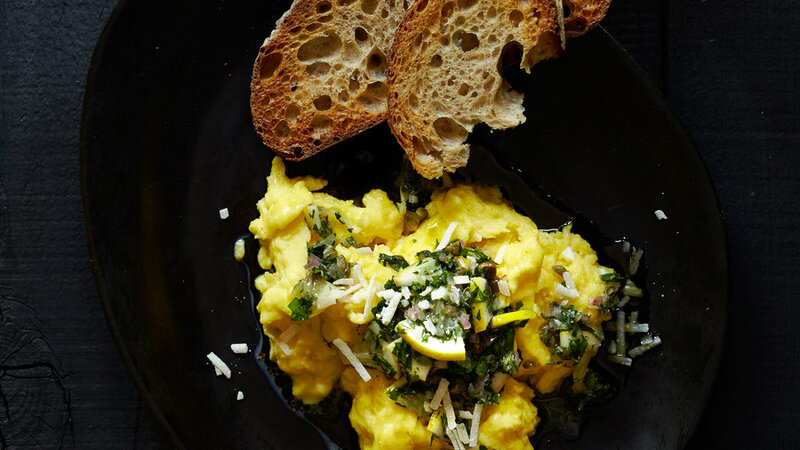 Served with greens and eggs, it makes for a wonderfully satisfying breakfast. 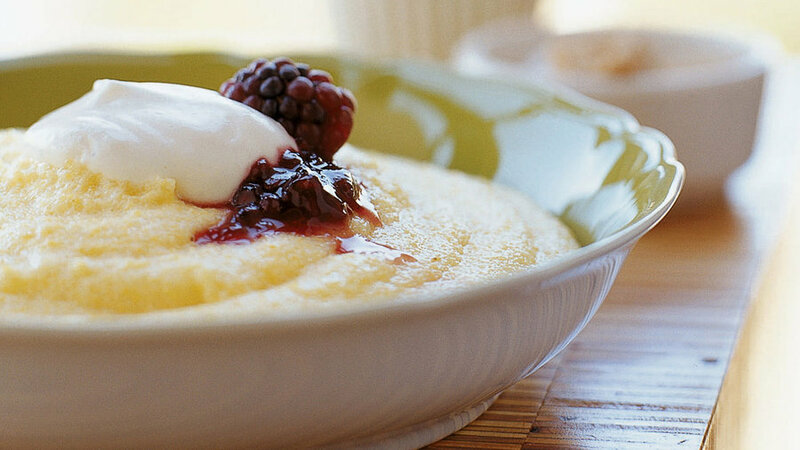 Creamy polenta is often hidden under a meaty main dish, but at breakfast time it can be the star. 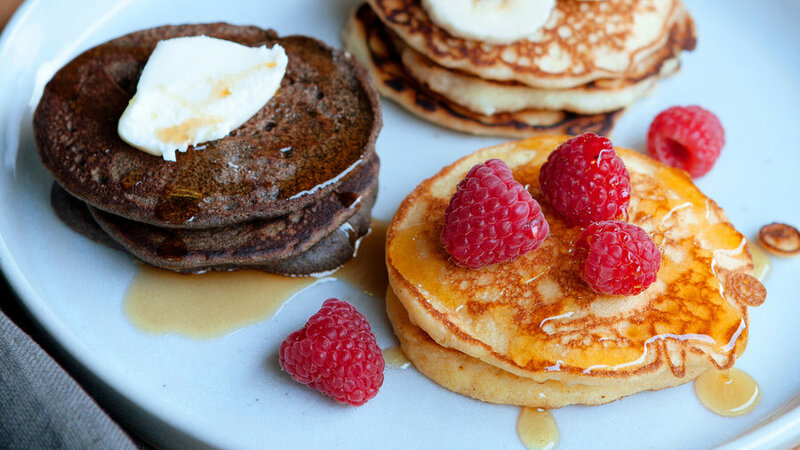 Top it with your favorite fruit, an egg, or even a little crispy bacon. 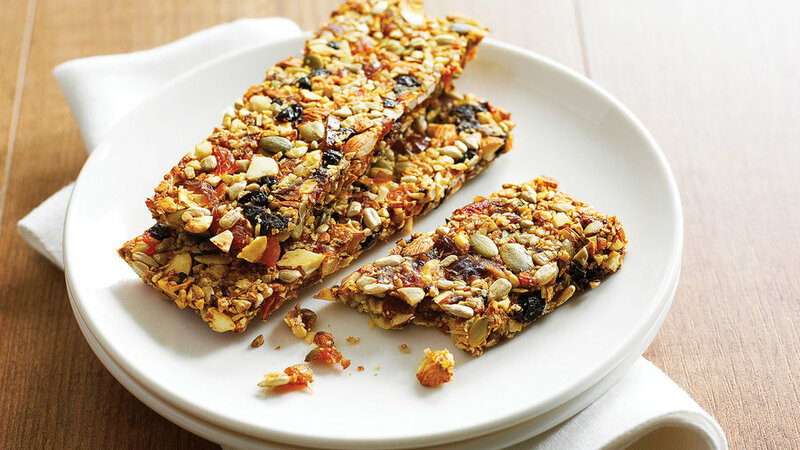 Breakfast bars from a box often contain glutens, but when you make them yourself you know you’re safe. Pepitas (pumpkin seeds) also set this bar apart from those found on grocery store shelves. 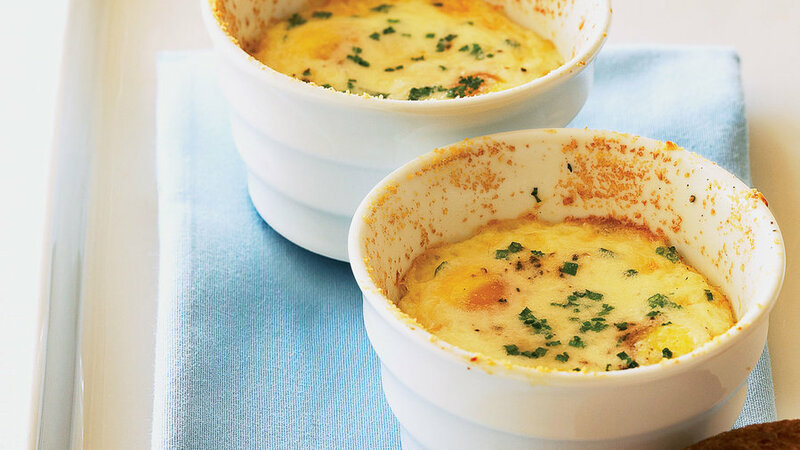 Custardy baked eggs are cooked and served in the same dish for quick clean-up. 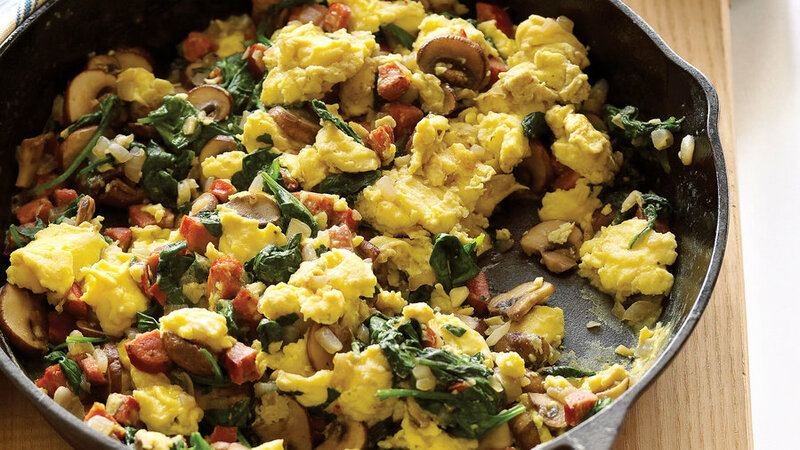 This delicious breakfast is easily scaled up for as many servings as you need. Try different herbs and cheeses for variety. 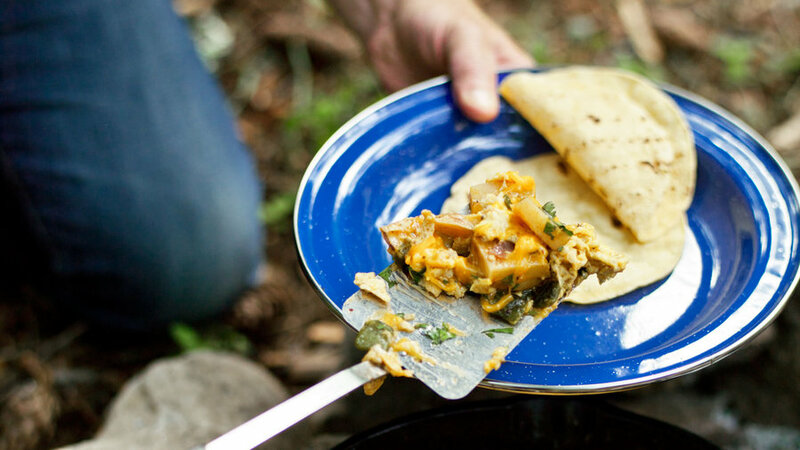 Occasionally referred to as breakfast nachos in the Sunset Test Kitchen, chilaquiles—a Southwestern restaurant favorite—is fun to make at home. If you’re in a hurry, use your favorite fresh storebought salsa. 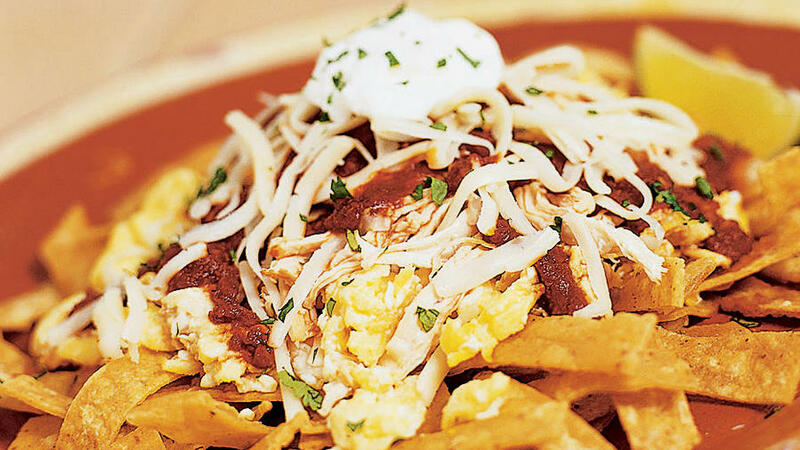 Chilaquiles easily convert to vegetarian fare, and still full of color and flavor, when you leave out the chicken.